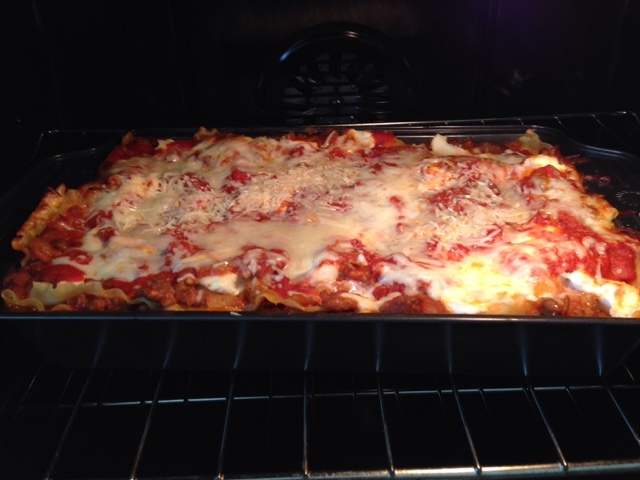 If you have a lot of mouths to feed or want to make a dish that will last you a few days, have you thought about making lasagne at home? It's fairly easy to make, it can be made the day/night before, and is the ultimate comfort food. 1) Bring large pot of water to a boil. Add uncooked lasagne noodles and boil for 8 minutes. Drain and lay the lasagne noodles flat on a greased cookie sheet. 2) Add olive oil to frying pan and add chopped onions. Once onions are translucent, add 1 lb of Italian Sausage and cook until sausage is cooked all the way through. Add 1 1/3 jars of ready-made pasta sauce to the pan. Add chopped mushrooms. Bring mixture to a boil. Once it starts boiling, remove from heat. 4) Pour remaining pasta sauce on top, cover with foil, and bake in pre-heated oven at 375 degrees for about 20 minutes. After 20 minutes, uncover, sprinkle mozzarella cheese and Parmigiano-Reggiano cheese and heat uncovered for another 10 minutes or until cheese is melted. If you want to bake later on, you'll need to increase the baking time 10-15 minutes. 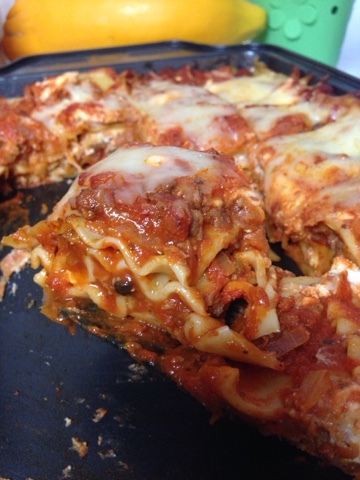 Adapted from http://www.barilla.com/content/recipe/barilla-wavy-lasagna-italian-sausage-marinara-sauce (it is also printed on the back of Barilla's Wavy Lasagna box).